Over the past 40 years, Bill has provided fitness training for thousands. You may have seen his national TV ads for the Resistance Chair, his features on CNN and Fox News or read his stories in countless newspapers and magazines. 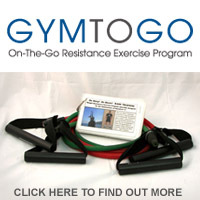 He has worked with The U.S. Navy, which led to the development of his iPhone App: Gym To Go and GymToGo.com. Bill has trained major sports teams, athletes and top Hollywood celebrities. Bill also writes a fitness blog and posts daily fitness tips on Twitter, both are accessible through the Basic Training web site. Bill was born and raised in the rugged mountain town of Ouray, Colorado where being fit is incidental to the environment. He spent his youth hiking, competitive skiing and climbing fourteen-thousand foot mountains. Bill found his way to Los Angeles and was one of the key players in the ignition of the fitness boom. He was fortunate to be one of the original providers of Nautilus and founded one of the first Nautilus clubs in Los Angeles, which soon developed into a chain. Those clubs evolved into two national chains and launched the careers of many well known fitness executives and personalities. Bill has owned and developed fitness centers around the world. Basic Training has been in Scottsdale since 1997 and is owned and operated by Bill and his wife Debbie. There is no substitute for the decades of Bill’s practical experience. Today the Crawford’s clients enjoy their dedication to personal service, state-of-the- art equipment, knowledge and motivational skills. Debbie Crawford works with Bill to assist you with all of your fitness needs, member enlistment, scheduling appointments and assisting with workouts in the MedX Strength Training Center. Debbie has worked alongside Bill in fitness since 1998. Debbie grew up on a working horse and cattle ranch in North Dakota and is a well known SAG/AFTRA actor and model. She has appeared on several television shows such as E.R., Arrest and Trial and countless national commercials and print ads.